With delicate lily fragrance, Moonlight white tea’s sweet and mellow taste, this tea is suitable for elders and women to drink daily. There are two reasons that make Lily Dragon Ball White Tea distinctive. First, let’s talk about the raw material. Yunnan Jinggu white tea is used as the raw material and then processed with the same technique for Fuding White tea, which is called by us as “Yue Guang Bai”. Moonlight white tea is very different from Fuding white tea in appearance and aroma, and the pekoe parts, like the back of tea leaves and tea buds, appear white, while the front parts are black. 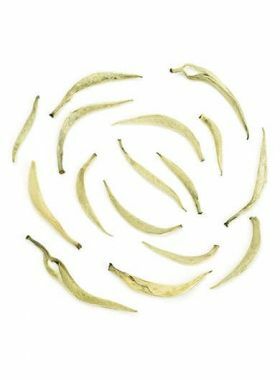 The taste of moonlight white tea is more outstanding in sweetness and fruit-and-flower aroma and more resistant than Fuding white tea, which are the Yunnan large-leaf tree’s advantages. Second, let’s move to the shape. Ball-like shaped tea is more convenient for us to take than loose leaf tea when we are out. When we go out to travel or to work, with some individually packed ball teas, brewing a cup of sweet and delicious dragon ball tea when free or busy, we can better enjoy our travelling or working. This dragon ball white tea adds some lilies, which not only plays a decorative role in tasting, but also makes this tea more ornamental. A tea friend once said the bloomed lily is like a goldfish who is drinking tea, which is a very interesting point of view. The fresh tea leaves for producing Moonlight Dragon Ball White Tea come from Jiu Tai Po tea garden, which is located in pu’er city with the highest elevation reaches at 2016 meters. 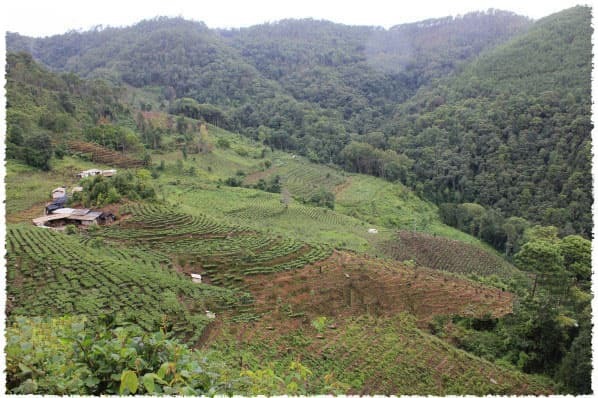 This tea garden is shrouded by a variety of ecological tea plantations, such as Taidi cha (plantation tea) growing area, old tea tree and ancient tea tree growing areas. Among them, the old tea tree and ancient tea tree growing area are located on a relatively higher elevation in Jiu Tai Po tea garden, covered with original forests. The position where the tea garden located is in a high altitude that makes no cars could pass but to climb the mountain on foot. Tea from old and ancient tea trees growing in a natural environment without human intervention. 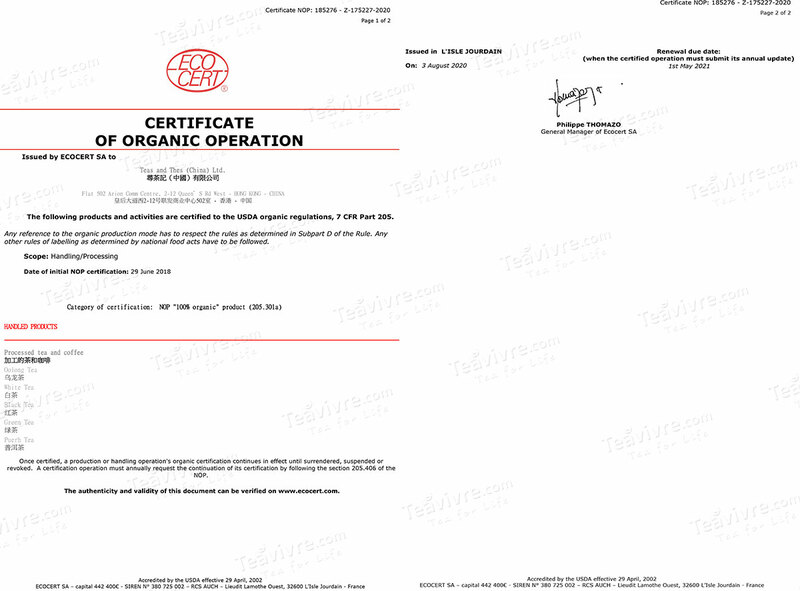 Therefore, the poultry manure is considered to be one of the best plant fertilizers out there. 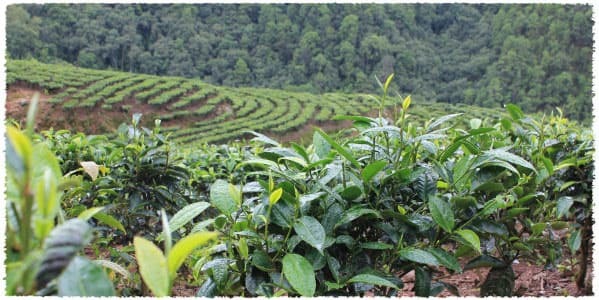 In recent years, Jiu Tai Po tea garden has begun to grow Taidi cha. Basically, all of these Taidi tea plants come from Jinggu Dabai Cha. There, leaves from Daiba Cha are more expensive than old tea trees, so you don't need to worry about buying a half-fake tea that mixed with Taidi cha and old tea trees. With more than 30 years of processing tea, Mr. Yang, as well as other tea farmers in Huidui village, are living by selling teas, which is the only thing they count on to support their lives. When we talked with Mr. Yang about why he had the idea to make flower dragon ball tea, Mr. Yang said: “Our former tea maters have already created a very special blend of Pu-erh Mini Tuo Cha with Rose and Chrysanthemums. That’s why the idea of making dragon ball black tea with flower flooded into my mind.” After that, Mr. Yang started his experiments to make dragon ball black tea with flower. With multiple experiments, he found Dian Hong Black tea is not proper to roll into a small shape as Mini Tuo Cha, but perfect for making into bigger dragon balls by the processing method of rolling. By using this method, it presented the best shape and appearance of the Black Tea that could be. After succeeded in producing dragon ball black tea with fresh flowers, Mr. Yang began to challenge himself by making other types of dragon ball teas. So far, lots of new type flower dragon ball black teas have been successfully made, which includes: Rose, Chamomile, Jasmine and Forget-me-not dragon ball black tea. Moreover, Mr. Yang made another attempt to dragon balls with pure tea material, they are: Ancient Dragon Ball Pu-erh Tea and Moonlight Beauty Dragon Ball White Tea. 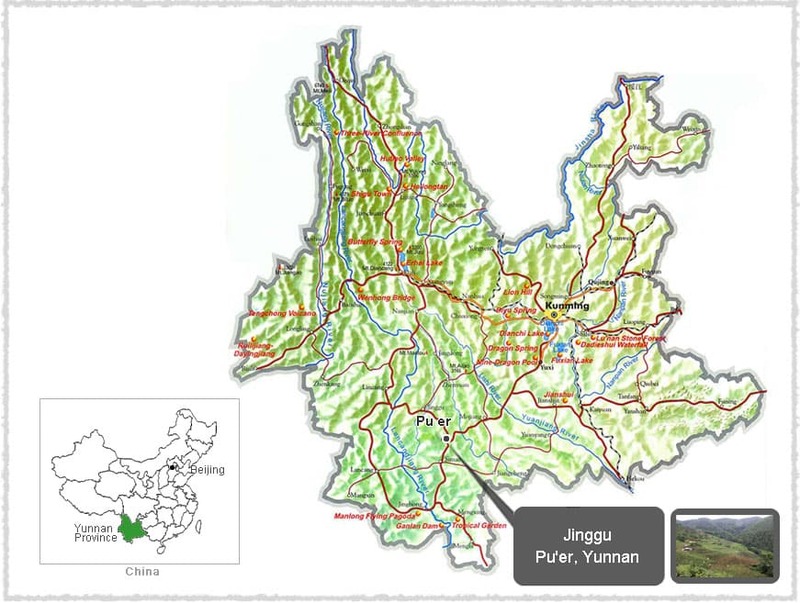 Jinggu, located in Pu'er City, Yunnan, is the birthplace of Jinggu Dabai Cha. The highest altitude here is 2,920 meters, while the lowest is 600 meters. Its annual rainfall reaches 1,354 mm and the average annual sunshine hours are over 2065.3 hours. 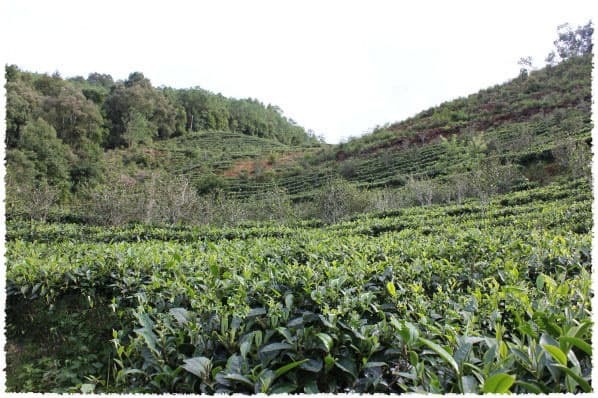 This place is typified by high mountains and deep valleys with different elevation ranges, that's why it was regarded as a very suitable place for growing different types of tea species. Except Dabai Cha, Jingju is also famous for other items, which includes: rosin, "Xiangya" mango, Yangta (秧塔) White Tea, and fragrant sticky rice as well. Jinggu Dabai cha belongs to arbor tea tree that comes from Mt. Kuzhu (苦竹: kǔ zhú) in Jinggu County. These particular tea plants are widely growing in local, naturally they can reach up to 4 – 5 meters with obvious trunks and sparse branches. Dabai cha is characterized by large and soft tea leaves, plump, fuzzy white buds with green color. Spring tea, picked in one tea bud with two leaves, is in high level of soluble compounds. It contains 3.8% Amino Acids, 29.9% Polyphenols, 5.2% Caffeine, 15.3% Catechin and 46.7% water extraction as well. Therefore, it has a rich flavor in taste and leaves a sweet aftertaste in mouth and throat. Tea made from Jinggu Dabai cha is well-presented the special features of Yunnan large-leaf, which is also a good material to make high quality Pu-erh teas. There was a beautiful legend connected to this tea in Bulang culture. Long long ago, there was a beautiful young Dai (the Dai nationality) princess living in Xishuangbanna. This kind-hearted princess has a beautiful name - Seven Princess. She was later married to a handsome young Bulang man for the friendly relations between the Dai nationality and the Bulang nationality. Seven Princess is not only beautiful but also intelligent. With her help, the Bulang people quickly learned how to plough and sow and make teas. Just because of this, she has been honored as the tea goodness of Bulang people. Later, in honor of her, moonlight beauty tea has been chosen as the tribute tea since people thought that this tea is the embodiment of Seven Princess’ wisdom and beauty.